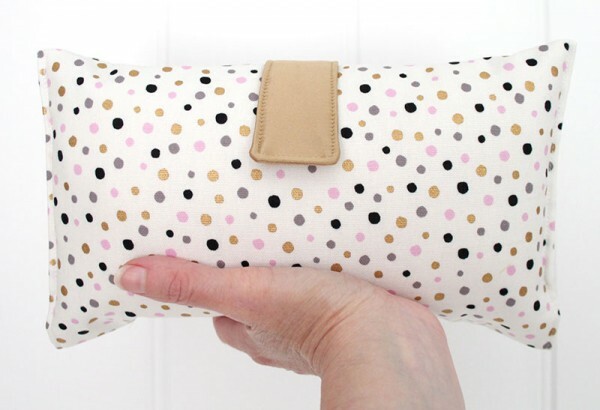 We’re dotty over all things spotty here at Babyology, so check out our latest favourite spotilicious finds! I don’t think there could be anything more adorable than a beautiful bub wrapped up snug in this gold glitter swaddle from Sugar Plum Lane Boutique, pictured above ($25.50). From Jolie Petite Chose, we love these luxe rose gold spot on navy and gold spot on white baby blankets. 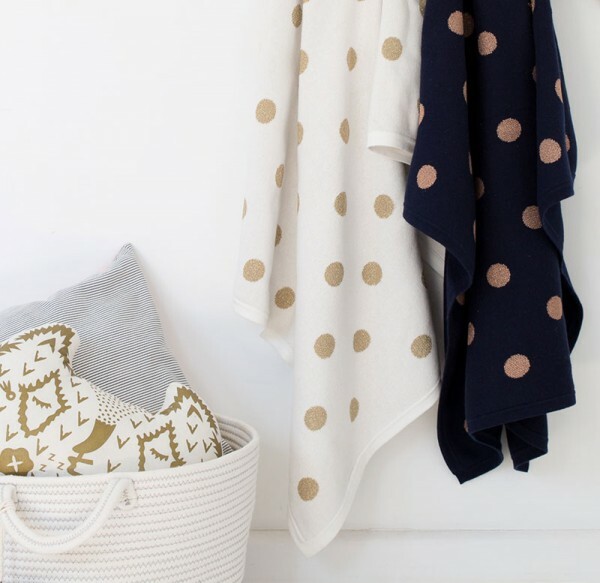 The ultimate spotted lightweight blanket, just perfect for spring ($89). Don’t get caught short without the essentials – kit yourself out with a fantastic luxe spot print Nappy Wallet from Vicki Elle ($30). For spots with sole (see what I did there? ), add some spring to your little one’s step with the Wild Spots Espadrille (NZ$54.95), from Pretty Brave. 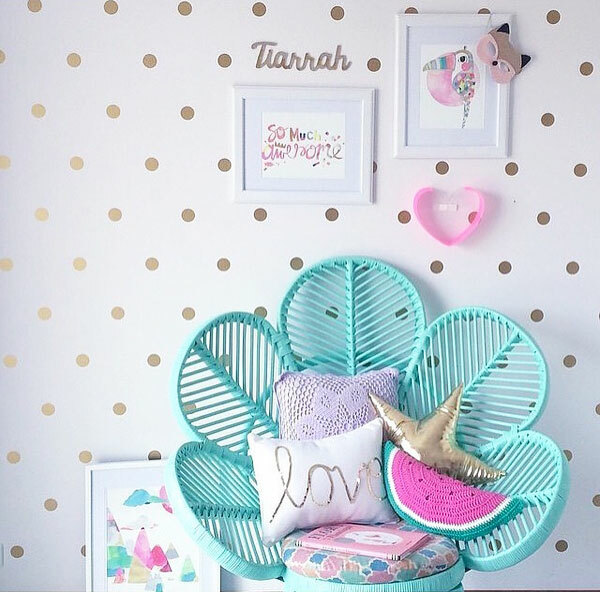 For instant wow factor on a tight budget and with next to no time to spare for decorating, vinyl wall decals are the answer. These beautiful polka dots come in all the colours of the rainbow at Vivid Wall Decals and cost as little as $12 for a pack of 24 dots. 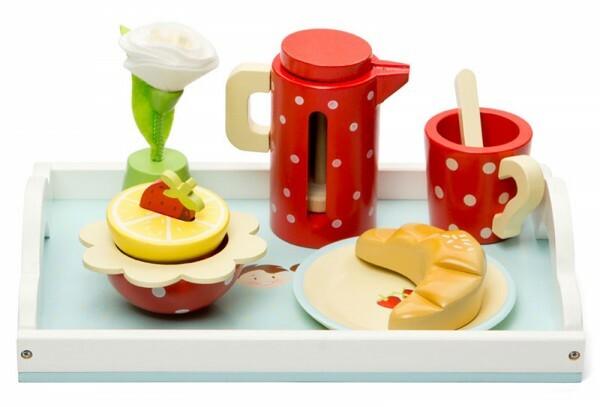 The toy box doesn’t escape a polka dot touch either with this magnificent Honeybake Breakfast Tray Set from Le Toy Van. Available from Knock On Wood Toys ($49).